Small cafés, narrow streets, bicycles, baguettes, state support for education, music and dance — Europe seems to have it all, and North American dancers are moving there to join small ensembles, state-supported companies, circuses and cabarets. Gould, 23, was on the fast track to push through, work hard and join a top Canadian ballet company, with her sights set on the National Ballet of Canada. She started attending its Toronto school at age 10, and also trained at home in Vancouver with Goh Ballet Academy. Gould completed her Royal Academy of Dance syllabus training and achieved her Solo Seal Award, leading her to compete at the Genée International Ballet Competition in 2010. A scholarship in 2011 from the Youth America Grand Prix ballet competition gave Gould the opportunity to train in Europe at the John Cranko School of Stuttgart Ballet, which, she says, “was a wonderful introduction to the dance scene of Europe. Working in Stuttgart made it possible to travel and explore European culture and lifestyle. It has certainly proved to be a happy decision.” For Gould, the main attraction was, first, the repertory, and then the beautiful opera houses. After her training in Stuttgart, Gould was invited to join the Hungarian National Ballet as a company member. Hawaiian-born Gregory Lau, 22, trained in New York at LaGuardia High School of Music & Art and Performing Arts, and later attended the Juilliard School. During his first year there, he travelled to Europe to audition for Nederlands Dans Theater 2, the junior division of the main company, and accepted a contract. “The Netherlands was always a place I was interested in and knew would provide motivation for my artistic growth,” he recalls. Many of Lau’s friends at Juilliard also went on to dance in Europe. “It is interesting to discuss our actual experiences abroad compared to our idealized dreams of what the ‘European dance scene’ is. We imagine endless opportunities to work with famous choreographers, constant one-on-one attention. Opportunities and attention are certainly there, but not necessarily consistently,” says Lau. Noelani Pantastico, 36, another Hawaiian-born dancer, is a product of training at the Pacific Northwest Ballet School and years of dancing with the company. In 2008, after being with the Seattle-based Pacific Northwest Ballet for 11 years, Pantastico was looking for a change. Guest choreographer Jean-Christophe Maillot had cast her as one of two dancers taking on the female lead in his version of Roméo et Juliette, and she ended up dancing in all nine performances due to an injury of the other Juliet. She caught the eye of Maillot and of the coaching team from his company, Les Ballets de Monte Carlo, and decided she wanted to explore more of Maillot’s choreography in Monaco. “I didn’t expect anything going into Monte Carlo; honestly, I didn’t know what to expect,” says Pantastico. “I had a rather complacent attitude and, at 28, thought, ‘If I don’t leave now I will never be able to see other dancers, coaches, companies.’” She also wanted to focus on types of work other than the familiar Balanchine-based and mixed-contemporary repertory at Pacific Northwest Ballet. Travel and touring, too, is a big draw — and it’s something European-based companies do particularly well. “Since Europe is so condensed,” says Ricketts, “we are able to tour a lot to many different countries.” The touring, however, adds wear and tear on the body, with uneven and uncertain stage floors, gruelling schedules with little time for recovery, jet lag, and constant changes in drinking water and hotels, all of which can add up to a lot of injuries. But for many, it is worth it. Les Ballets de Monte Carlo is mostly a touring company, with only two or three programs a year at home in Monaco. Tours to Israel, Syria, Japan and Cuba have given Pantastico opportunities to travel she says she would not have had otherwise. 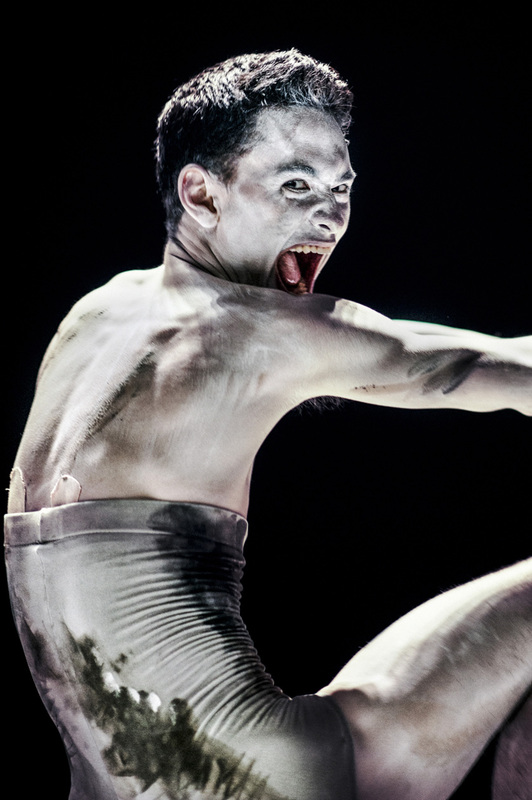 For Lau, “the main attraction to dance in Europe is the history and support the art has here.” Government financial support to freelance artists or established companies creates a strong foundation for creativity to flourish. 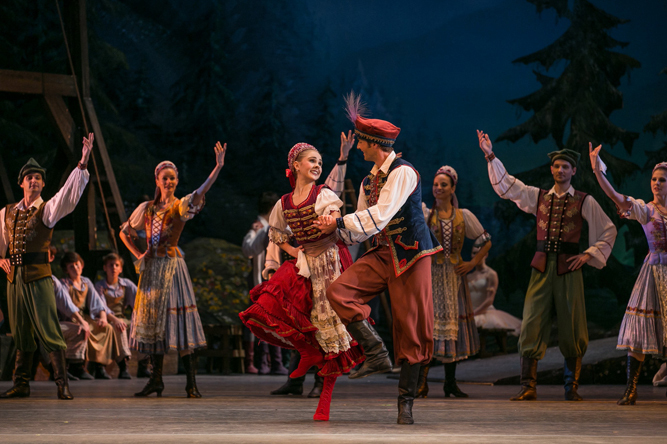 Europe’s preference for concert dance tends to produce full houses with loyal audiences, many performances, and the opportunity to dance a lot and to dance a varied repertoire. Even small cities can feature opera houses and theatres with resident ballet and opera companies, as well as orchestras. Jobs may still be difficult to get, but there is a perception of more opportunities and, according to Gould, it is not uncommon for North American dancers to do a large audition tour of Europe since there are so many theatres to audition for. For Gould, because Hungarian National Ballet is a state-run ballet company and opera house, with two theatres to perform in — the Hungarian State Opera House and the more modern Erkel Theatre — the repertoire and number of large ballet productions in a season is exceptional. This has allowed Gould to dance both corps de ballet and soloist roles, and to learn a large and varied repertoire in just three years. Lau has just been promoted to Nederlands Dans Theater, the main company. His commitment is clear: “The dancers here are truly inspirational. I think great things can stem from being surrounded by such knowledgeable artists, so I am looking forward to learning from all of them.” NDT2 is designed to keep its young dancers for three years, and Ricketts, after two years with the group, is looking forward to what the next season brings. All four dancers want to put themselves in settings where they are constantly being challenged. This holds for the studio and for day-to-day living — Europe seems to provide an enticing place to do just that.